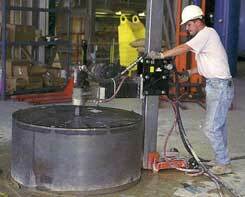 We design and build special cutting equipment. what it takes to get the job done right, and on time. Ace Cutting and Coring is a local, family-run business. We’re proud to serve the GTA and Durham Region and call it our home. Both municipalities and residential owners can find themselves in need of asphalt cutting and sawing services, when an existing road or driveway needs to be removed. Asphalt sawing is done when new roads need to be put in, or new water mains are being added to existing roads. Wall Sawing is required to make cuts in a concrete wall to accommodate new doors, and to add windows. Wall Sawing is used in residential basements to cut out concrete when putting in a new walk-out patio door. 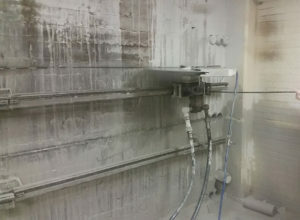 Recent projects included sawing and removing walls to fit a bank vault. 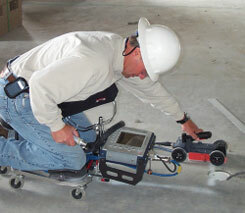 Core drilling is performed when new access conduits (for plumbing/electrical) are required to be run through the concrete, such as in new floors. At right is our hydraulic core driller. Clients may not know what’s inside or underneath the concrete they want us to cut. Before we cut into it, we use x-ray scanning or GPR (ground penetrating radar) imaging to scan the concrete, looking for hidden conduits such as water pipes or wire hiding in or below the slab. 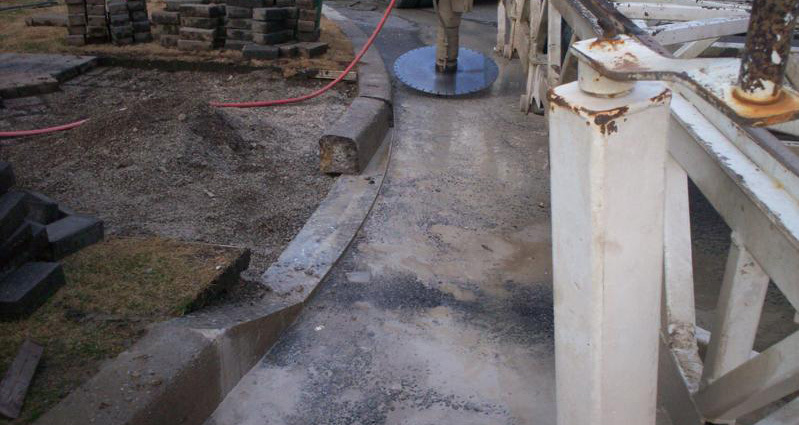 Sometimes before we can pour and finish new concrete, we need to break and remove the old concrete first. Whether it is a plumbing trench or the entire concrete floor that needs to be cut up, we can remove and dispose of unwanted concrete. 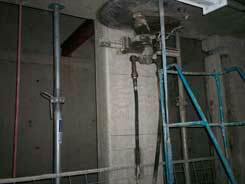 We can demolish old concrete, and remove it using a concrete bin for disposal. Recent projects have included the addition of a new hockey rink floor, where the old one had to be demolished and removed first. 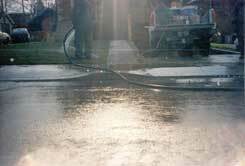 Driveway Widening – We can widen your residential or commercial driveway. 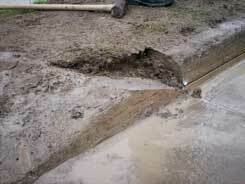 We can cut a curb to allow wider access to your property. We shape to city specification outlines. 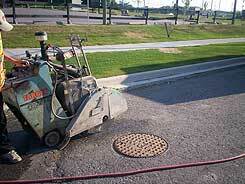 Back Cutting can be required for both small residential upgrades, and for large municipal and industrial projects. 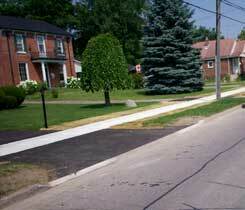 Recent curb cutting projects have included making a driveway bigger, and creating wheelchair ramps. Monolithic Cutting can be required when the curb to be cut is a massive block of concrete, such as when cutting blocks for property barriers.